Essential household help --- expertly matched to you! Being a mom is a full-time job. Between errands, homework, playdates, lessons, and after-school commitments, it's not always easy to keep you household running smoothly. 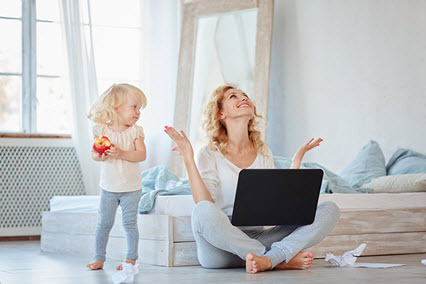 SitterCentral is a full-service placement agency matching local families with reliable, pre-screened domestic professionals so you can spend more time on the things and people you love most. All candidates are experienced, qualified, personally interviewed, background checked, reference checked and CPR/First Aid Certified. The Permanent Placement fee varies depending on the specification of your search. Please contact us for a custom quote. Have you found the perfect candidate, but don't know how to create an employment contract or hire a domestic professional on your own? We can help you make the process seamless to ensure a happy, long-term placement. In addition, SitterCentral can support families who would prefer to find a domestic professional on their own. Please inquire about our consulting services - and put your mind at ease!